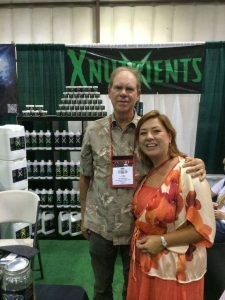 Check out my previous post on X Nutrients. 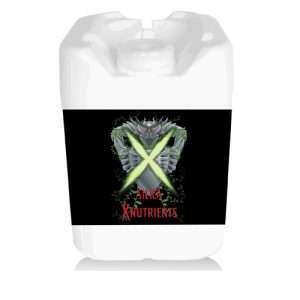 X nutrients has a complete line of hydroponic nutrients. From the basics all the way to advanced. They offer product sizes in many options including; quarts, gallons, 2.5 gallons, 5 gallons, and 15 and 55 gallon drums. Really the sky is the limit with this company. They are willing to go the extra mile! 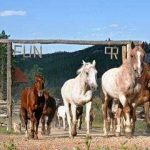 From personal grows to large scale agriculture farms with huge acreage. Always use RO Reverse Osmosis water when making up a hydroponic fertilizer mix. High Quality Ingredients = Healthier Plants. They use high quality ingredients in their products (Pharmaceutical and Technical grade). 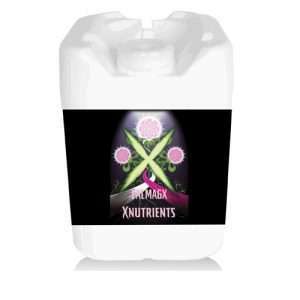 The ingredients sourced by X Nutrients come from well established and respected companies with strong standards for quality control. 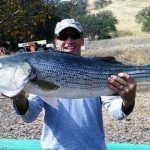 The raw materials are purchased from US companies and their product is made right here in the USA in good ole California. Aww yea American Made & California Grown. There are no fillers, by-products, or harsh chemical residues often found in products made with lower grade ingredients. 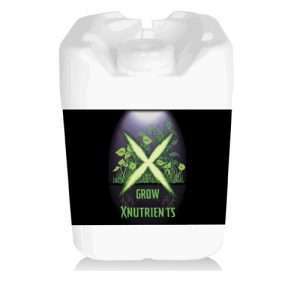 Grow Nutrients: Grow Nutrients are well suited for any plant during its growth stages. It gives excellent results as a basic nutrient. It has the proper blend of NPK and trace elements, including manganese and zinc. These trace elements are essential to plant growth. Grow Nutrients are loaded with micro-nutrients, including boron, manganese, molybdenum, zinc, and copper. Make sure to use this product with Micro; Micro delivers the remaining elements, calcium and iron. Hydroponics – Use 15 mL per gallon in your reservoir. Soil/Coco/Other medium – Use 15 mL per gallon every time you water. Bloom Nutrients: Bloom Nutrients are well suited for any plant during its flowering or fruiting stages. Macro and micro elements are combined creating a nutritional base for your plants to thrive. The macro elements are nitrogen, phosphorus, potassium, calcium, magnesium, and sulfur. The micro-nutrients are boron, copper, iron, manganese, molybdenum and zinc. Each of these individual elements is necessary for a plant’s total nutritional needs and is provided in our ‘Bloom’ and ‘Micro’ nutrients. Hydroponics – Use 20 mL per gallon in your reservoir. Soil/Coco/Other medium – Use 20 mL per gallon every time you water. Micro Nutrients: Micro Nutrients should be used with either Grow or Bloom Nutrients. It provides all the important secondary nutrients necessary for proper growth. Micro Nutrients are used through all stages of growth and flowering/fruiting. Micro from X Nutrients supplies these essential macro elements Nitrogen, Potash, and Calcium as well as iron, an essential micronutrient. Soil/Coco/Other medium – Use 15 mL per gallon everytime you water. Grow Spray: Grow Spray is a power packed nutrient spray to be applied to a plant’s leaves prior to flowers or fruit. It can be used in soil or hydroponic systems and alongside other nutrient products. Grow Spray is a great tool. Though it is important to water plants with nutrients, Grow Spray can be as much as 20 times as effective. Grow Spray will produce larger, greener leaves and large fruit or flowers. Easy to use, Grow Spray has all the right ingredients in one bottle. Foliar feeding should be done early in the morning or just as the lights are coming on. Grow Spray is packed with macro nutrients and has a wetting agent already built in. The wetting agent, also known as a surfactant, helps a plant to absorb the nutrients by reducing the surface tension of the liquid. The recommended temperature for spraying is around 80 degrees. Hydroponics or Soil/Coco/Other medium – 15 mL per liter of water to make a spray. Spray leaves on top and bottom twice a week. Bloom Spray: Bloom Spray is specifically designed for the flowering or fruit stage. It’s unique combination of fertiizer and trace elements help provide the exact nutrient levels as a plant transforms itself and produces flowers or fruit. Bloom Spray is power packed concentrated spray that is applied to the leaves during flowering or fruit stages. The added trace elements maximizes flower or fruit size. Bloom spray can be used for both soil and hydroponic systems at the same time as other nutrients. Within weeks you will see explosive flowering, fruit density and higher yields. Foliar feeding should be done early in the morning or just as the lights are coming on. X Nutrients Bloom Spray is packed with macro nutrients and even has a water based penetrating agent built into the formula so it’s ready to use, just mix with water and spray. The wetting agent, also known as a surfactant, helps a plant to absorb the nutrients by reducing the surface tension of the liquid. When applying Bloom Spray, use a fine misting. The recommended temperature for spraying is around 80 degrees. pH is a measure of the hydronium ion H3O+. PH based on a logarithmic scale from 0 to 14. Which mean the difference between PH 7 and PH 8 is ten times stronger. Ideally check your PH every 30 minutes for a couple hours after you make your mix and keep a pump mixing the reservoir & use an air stone to keep it well aerated. Once it’s stabilized Make note on how much you had to use. Then check it once or twice a day till you get a handle on how it changes over time. Usually after that it will stay pretty stable. Especially if you use a PH buffered Hydro Formula. But do be aware that water companies can sometimes change their water sources without warning so keep that in mind. 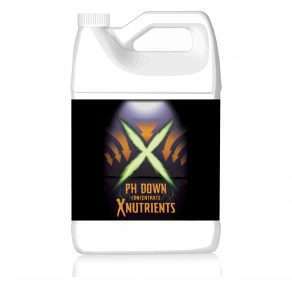 X Nutrients carries different concentrations of PH UP & PH Down. PH Up: pH is the measurement of water quality. Soil or water can be too acid or too alkaline. A pH of 7 is neutral. Generally plants want a pH between 5.5 and 6.5. pH-Up and pH-Down adjust the acid/alkaline balance. pH that is too high or low will prevent plants from absorbing nutrients. To make the most out of your nutrients, use pH-Up and pH-Down to regulate your pH. Hydroponics – Use 1 mL per gallon in your reservoir as a starting point. Make sure the product is dissolved and mixed thoroughly (or cycled). Measure pH to determine additional amounts. Soil/Coco/Other medium – Use 1 mL per gallon in your water source as a starting point. Make sure the product is evenly distributed. Measure pH to determine additional amounts. PH Down: pH is the measurement of water quality. Soil or water can be too acid or too alkaline. A pH of 7 is neutral. Generally plants want a pH between 5.5 and 6.5. pH-Up and pH-Down adjust the acid/alkaline balance. pH that is too high or low will prevent plants from absorbing nutrients. To make the most out of your nutrients, use pH-Up and pH-Down to regulate your pH. MX Clone Gel: MX Clone Gel is a breakthrough in rooting technology. It’s a rooting gel that provides the necessary ingredients to generate roots from stem or leaf cuttings. This unique gel seals the cutting and has antibacterial ingredients to prevent bacteria and fungus from entering the. 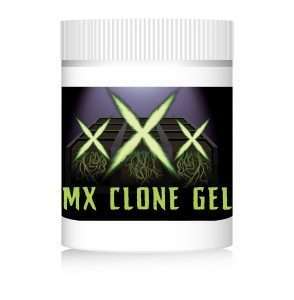 MX Clone Gel is ultra strong and will save you cost in duplicating garden plants. It’s unique formulation will work for both softwood and semi-hardwood cuttings. 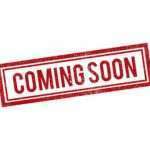 It will promote rapid and healthy growth for all types of plants, flowers, fruits and vegetables. Hydroponics or Soil/Coco/Other medium – Take cutting and dip into MX Gel to the desired depth. Place treated cutting into suitable preferred medium or aero system. Mist cuttings with 5ml per liter of Amino Blast and Grow Spray every other day for optimal results. 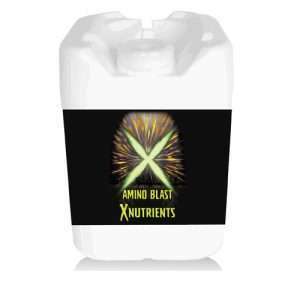 Amino Blast: Amino Blast adds a blast of essential amino acids to your plants. Amino Blast contains all the necessary “L” amino acids. It is scientifically proven that amino acids increase yield and overall quality of crops. These essential amino acids increase the rate of photosynthesis, improve color, size, and appearance of flowers. Amino Blast contains all 17 of the ‘L’ amino acids that have been proven to be of benefit to a plants growth, flowering, and fruiting. Research has proven that amino acids are important for the overall quality of a garden, including the plants’ yield, aroma, and potency. By adding Amino Blast, your plant is able to synthesize more enzymes that help in the uptake of nutrient as well as photosynthesis. The L-vitamins in Amino Blast improve the color, appearance, and size of the flowers in your garden. Bloom FX: Bloom FX is a bloom booster. It is designed to give you larger, fuller and denser flowers. Bloom FX will also increase the potency of your flowers by increasing their essential oils. It stimulates explosive growth and heavier blooms. Bloom FX can be used in both soil and hydroponic systems. Flushing Solution: Flushing Solution is designed to flush away fertilizer salts and residues that accumulate in a plants stems, leaves, flowers and buds. Your crops will be healthier and cleaner. 1. Drain your hydroponic reservoir and fill it with clean water. 2. Use at a rate of 15ml per gallon. Do not use any other supplements or nutrients. 3. Run your hydroponic system for at least 8 hours. 4. Drain your reservoir and fill it with clean water. 5. Repeat this process again several days later. CalMagX: Calcium Magnesium adds additional calcium, magnesium and iron. It helps to prevent nutrient deficiencies and optimizes plant nutrition. It is well suited for high calcium intake plants. Cal/MagX is also beneficial in compensating for the natural calcium draw while growing in coco mediums. Supplementing Cal/MagX provides the needed Calcium for plants varieties that require supplemental nutrition to prevent blossom rot and tip burn such as lettuce and tomatoes while additionally enhancing plant growth. Hydroponics – Use 5 mL per gallon in your reservoir. Soil/Coco/Other medium – Use 5 mL per gallon everytime you water. Silica: Silica provides increased levels of potassium and silicon helping to strengthen plant tissue by building stronger cell walls. This helps plants to combat adverse conditions such as heat, drought, frost and from insects. Silica greatly increases strength of an entire plant from a cellular level by reinforcing all of the plants cellular walls. This structural benefit affects the entirety of the plant structure from the stalks to the flowers. Additional benefits include an increase in the plants metabolic rate and an increase in the finish weight of your crops. Soil/Coco/Other medium – Use 5 mL per gallon every time you water. Ful-Potential: Ful-Potential is a fulvic and humic acid product designed to increase nutrient efficiency. Your plants benefit from accelerated growth and reduced stress. 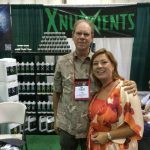 Let me know how x nutrients has performed for you in the comments or how it has increased your yield. We love hearing stories and getting pictures from various farms & grows. If we get enough comments or people asking I might even be able to get you a discount, coupon code, special sale price or maybe even a Black Friday deal! Here’s the current contact info; But they may be operating out of Sacramento / Elk Grove area now. Very smart leaving the crowded San Francisco Bay Area.